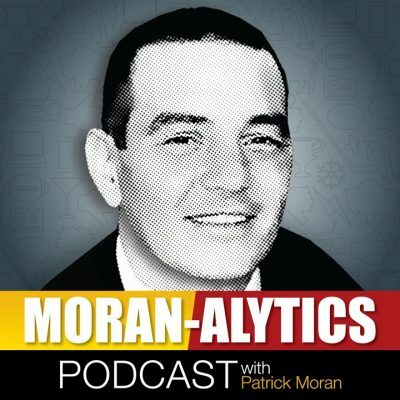 This episode of the Moran-Alytics Podcast features perhaps our biggest guest to date, as Patrick Moran interviews Ross Tucker, SiriusXM NFL Radio Host, color analyst for NBCSN and host of the Ross Tucker Podcast. The two get right to the point during an interview (43:00) as Ross is reasonably confident Richie Incognito hasn’t played his last NFL game. He also gives his insight to the one quarterback prospect that would be worth the Buffalo Bills moving up from No. 12 to 2 for in the NFL draft, now less than two weeks away. Tucker (@RossTuckerNFL) also gives his take on a few of the other quarterback prospects, speaks of the two non-quarterbacks he loves most in the draft, isn’t sold on the Los Angeles Rams being the class of the NFC and we finish up with Ross reminiscing about his time with the Bills in 2003-04. Before that Tone Pucks (@TonePucks) joins Patrick for their weekly “Pat with Pucks” segment. Patrick quickly realizes how old and out of touch the duo are when it comes to recent charting pop music before the conversation takes a bit more serious turn towards several sports topics, including plenty of Bills talk while also checking in on the MLB National League and the Cleveland Cavs.